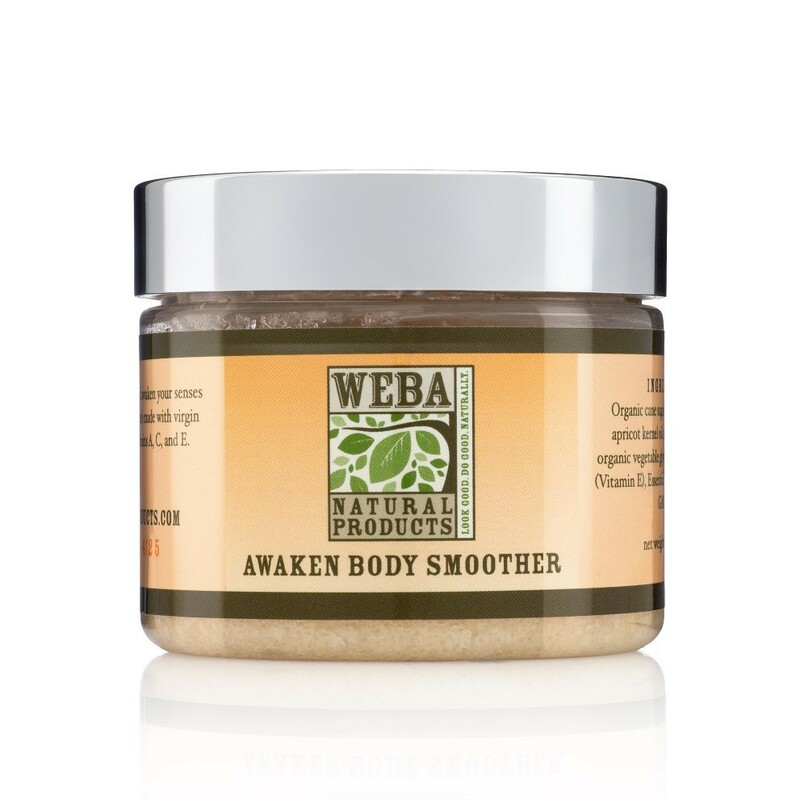 WEBA Natural Products “Awaken” Body Smoother providing gentle exfoliation with organic sugar, coconut and apricot kernel oils. Glycerin and Vitamin E nourish and protect skin. Citrus essential oils add a refreshing “jolt” to your morning routine. Gentle enough for face as well as body. 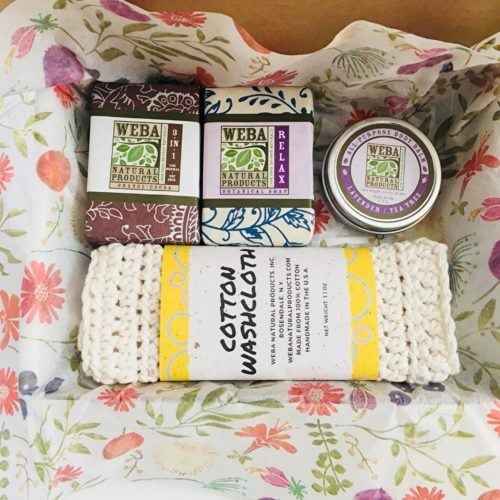 Packaged in lightweight recyclable plastic jar. With all natural and organic ingredients, our “Awaken” Body Smoother sugar scrub gently exfoliates while nourishing skin. Organic cane sugar is created by evaporating cane juice, which does not involve the use of chemical bleaches or other ingredients. Sugar is a good source of glycolic acid, which naturally exfoliates the skin’s top layer. It also contains natural humectants which add moisture while exfoliating. The result is smoother, brighter skin. Our body smoother is creamy, not oily, and helps to maintain the skin’s natural acid mantle. Vegan and GMO-free. Our body smoother has no artificial colors or fragrances. 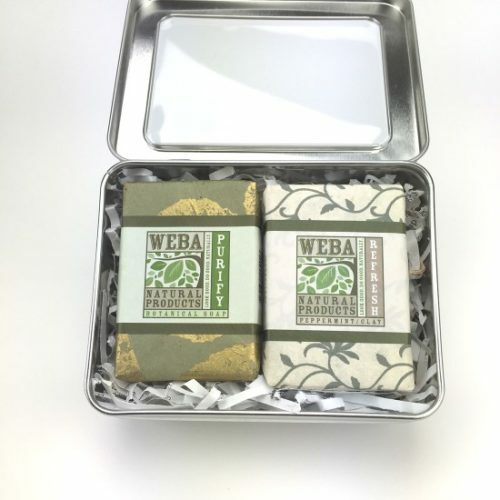 It is scented with pure citrus essential oils, which provide a refreshing start to your day! Glycerin is super-moisturizing and Vitamin E contains antioxidants that minimize free radical skin damage. 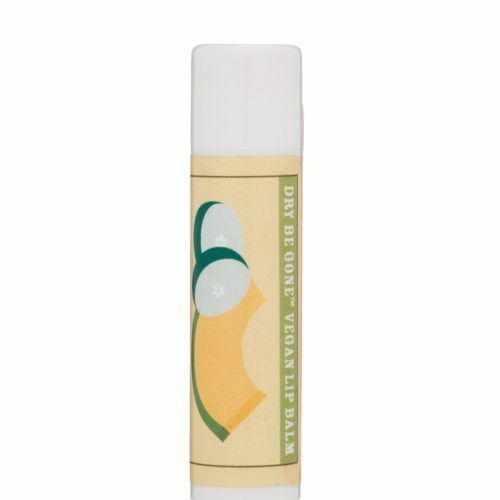 Many say that after using our body smoother, they don’t even need a moisturizer.